Pakkavada is a popular snack in Kerala. 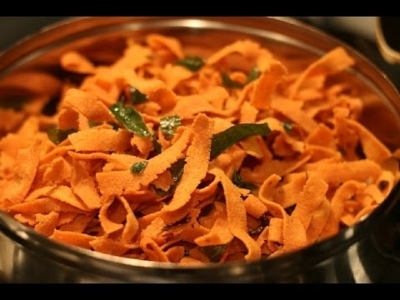 It is made with rice flour and gram flour (besan) and is cut into thin ribbon shapes. We brings you this spicy, crunchy snack for you to enjoy at tea-time or anytime you feel the need to munch on something crunchy and savoury.